This week Mubi was recaptured from Islamist group Boko Haram, which controls many towns in the region. In April, the group kidnapped more than 200 schoolgirls in the town of Chibok, causing international outrage. A spokesman for the governor of Adamawa state told the BBC that most of the victims of the latest bomb attack were civilians, although five of the dead were said to be soldiers. Earlier reports put the death toll as high as 35. Mubi was captured by Boko Haram last month and was only ousted this week by the Nigerian military with assistance from local vigilante groups and hunters. A 24-hour curfew has been imposed in the area, the BBC's Will Ross reports from the capital of Adamawa state, Yola. He says attacks by the Islamist extremist group are relentless. The latest comes two days after at least 78 people were killed in a twin suicide bombing in Maiduguri, the capital of Borno state. 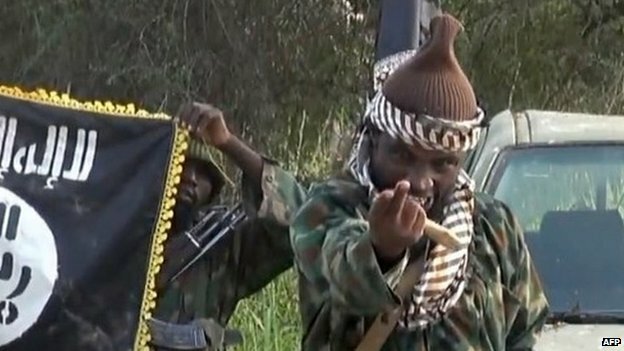 Last week Boko Haram killed close to 100 people in two separate attacks - some had their throats slit, others were drowned in Lake Chad. It was based in Maiduguri after its formation in 2002, but has since been driven out of the city by the military and vigilante groups.